A great way to recognize your luggage in the crowds. 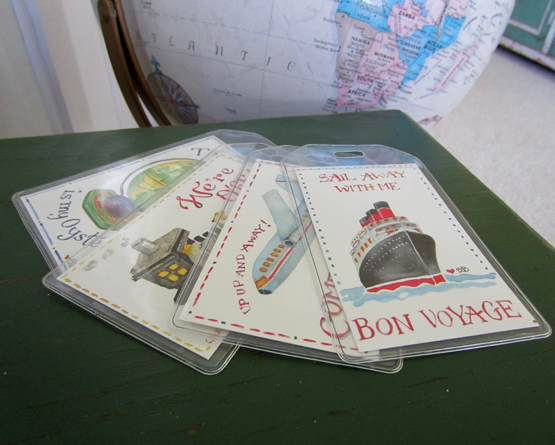 This set of 4 luggage tags is decorated with charming travel art on one side and allows plenty of room on the opposite side for your contact information, just in case it gets separated from you. Set of 4 different tags. 5" x 3".